How to translate “I’m excited” in French? This common expression gets really lost in translation. 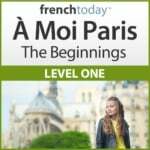 Here are solutions + many examples on how to translate “I’m excited” in French. Many French students are puzzled when it comes to translating “I’m excited” in French. It’s such a common expression in English! And since the verb “exciter” and the adjective “excité(e)” do exist in French, it seems logical to simply translate. Unfortunately, in the case of “to be excited” in French, translating word by word is going to mean trouble. This could lead to a big misunderstanding. I’m excited to see you tonight. I’m turned on to the idea of seeing you tonight. Ok, now, if you’ve said that to a French friend, no need to freak-out and applogogize. Chance is that they got that it was a poor translation. The only time we’d use “I’m excited” in French would be to describe kids being hyper, over-active. In this case of course, it won’t have a sexual meaning. Stop provoking/pestering/ making something to make your brother react and lose his cool! Les enfants étaient tellement excités après avoir mangé des bonbons qu’ils couraient partout dans la maison. The kids where so hyper after eating candies that they ran all over the house. Keep in mind that this is not a calm excitement linked to joy such as in “I’m excited” in English. Ce garçon est très excité. Il faut qu’il se calme. To remember how to translate “to be excited” in French, just bring up the image. Link the word “excité” to a mental image of someone horny, or a hyper kid – like on the pictures of this article. Don’t link the word to the English word: since you can’t translate “excited” in French with “excité”, if you link the two words together, it won’t work. I know this sounds quite “flat” in English… “I’m happy to see you” lacks enthusiasm. Could it be that the French are less emotional than the English speakers? I don’t think so… But the language here sure doesn’t translate the notion of cool excitement of “I’m excited”! Je suis vraiment contente de te voir ce soir – I’m excited (really happy) to see you tonight. Je suis très heureuse de vous revoir – I’m excited (very happy) to see you tonight. Il est ravi d’être ici – He’s excited (enchanted…) to be here. Often, in the notion of being excited is a notion of being impatient. So we’d use that in French to say “I’m excited”. Je suis impatiente de la recontrer – I’m excited (impatient) to meet her. Nous avons hâte d’y être – We’re excited (looking forward to… but very used in French) be there (to a place in the future). If you want to translate “it’s exciting” in French, again, “c’est excitant” is going to sound weird (although, it’s slowly but surely making its way in the French language under the English influence of “how exciting”). Here again, use French adjectives to show your enthusiasm. It’s so exciting (awesome) to have won. Take the following with a grain of salt – we do use the verb “exciter” and the expressions below: however aren’t they going to confuse you and entice you to use “excited” in French? Exciter – as we’ve seen, we’d use it mostly to describe kids interacting. And then there is also the sexual meaning: to turn someone on. It’s used for kids, and also when someone is getting angry in front of your very eyes, you could say “arrête de t’exciter”: stop getting all worked up about it. Here again, “s’exciter” as a reciprocal or reflexive verb could also have a sexual meaning: to get horny. This is to be over-excited. However, it’s really a strong emotion. Again, it’s not a perfect fit to translate “I’m excited” in French because it’s just too strong. We use it, but not that much. “Une puce” is a flea. So… Can you picture yourself jumping around like a flea out of crazy excitement? Then use this expression. Je suis excitée comme une puce à l’idée de sortir mon nouveau livre audio. I’m pumped/ stoked to release my new audiobook. Voilà – now you have many options on how to translate “to be excited” in French. How do You Say “I Visited my Grandma” in French?